Once more into the fray! These evildoers mustn’t be allowed to disturb the peace!! 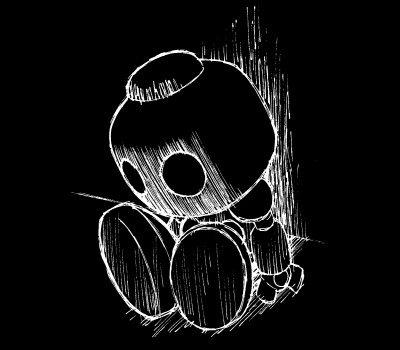 Jumping forward to X2, we can see that it was Violen’s shoulder that was sticking out in our last card. 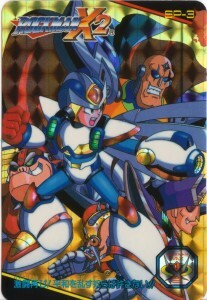 X battles the X-Hunters and Sigma in his second armor. He’s looking much better than yesterday! 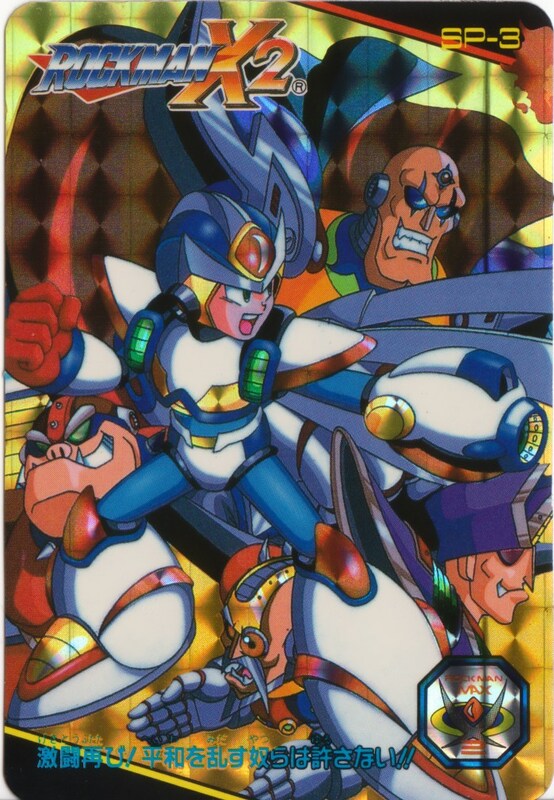 And look, yet another new holomark: “ROCKMAN X2 MAX” (or “ROCKMAN MAX X2”)! One more pic to go! 4 Comments to "Free X Pic Weekend part 3"
At least Sigma’s eyes aren’t as pants-crappingly terrible here. Im really digging those holomarks.